Have you given any thought to what you will do with your horse the day before the event? 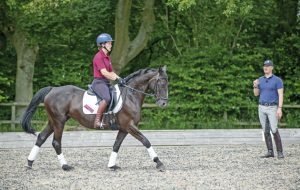 Should you be running through your dressage test, popping him over some jumps or giving him a day off? We talk to some top riders and trainers to find out what the ideal preparation should be. Help! My horse is difficult with the farrier — what should I do? H&H question of the week: how can I train my horse to use his shoulders while jumping? H&H question of the week: How can I get a secure lower leg while jumping?